OnePlus has introduced exchange offers for its smartphones in India, under which users can trade-in their old smartphone for a new OnePlus device. In addition, the brand is offering B2X Service and B2X On-Guard extended service plans for the OnePlus 2 and OnePlus X respectively, if cost of the exchanged device is more than or equal to Rs 5,000. 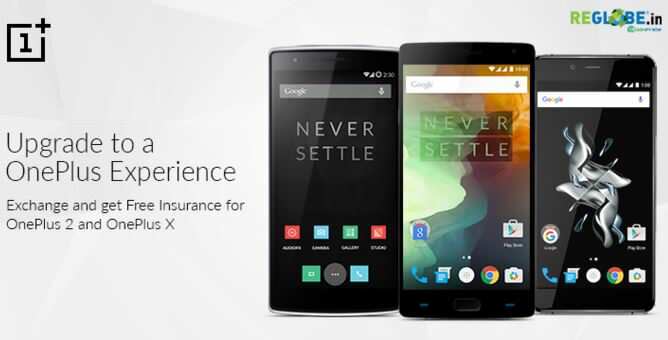 OnePlus has partnered with ReGlobe for the exchange offers on its smartphones. There are two exchange schemes – Buy First, Sell Later and Sell First, Buy Next. In addition to the OnePlus 2 and OnePlus X, the One is also available under the exchange offer. The scheme will be valid until December 31st. It’s worth pointing out that only smartphones from a limited number of brands are being accepted by ReGlobe under the exchange offer. More details on this are available on the company’s blog.